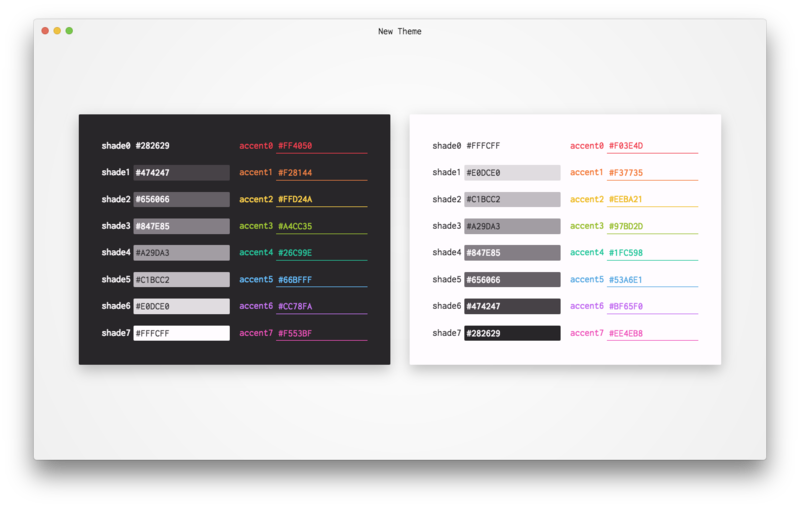 Generate editor themes, terminal themes, and matching desktop wallpaper from your set of colors. Themer takes your set of colors (or a built-in set of colors) and generates editor themes, terminal themes, and desktop/device wallpapers. This repository is a graphical UI for the command-line tool. See also Themer&apos;s website and Themer&apos;s Product Hunt page. macOS, Windows, and Linux: download the latest release installer.